Wallpapers : Customize You Place, the way you want : Top Worth Advertising LLC. Dubai, U.A.E. 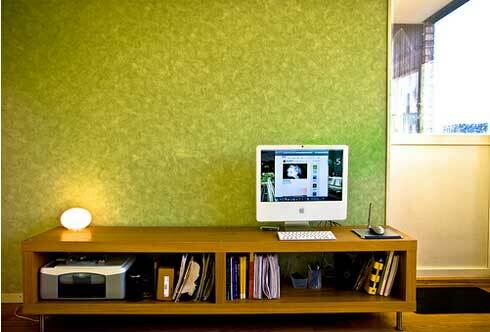 Wallpapers :Customize You Place, the way you want ! Custom wallpaper prints allow you to create truly dramatic murals that give a space the exact look and feel you want! Your company lobby can have a floor-to-ceiling custom wallpaper of your product. Your restaurant can have a custom wall mural of old photos or scenery to set the right mood. Stores can have custom wallpaper that strengthens their branding. Our custom wallpaper is printed on vinyl with UV Curable inks that are solvent free, washable and will not fade. The images we print are as durable as those on store bought wallpaper. Our standard material has a suede-like texture that is rich and pleasing. 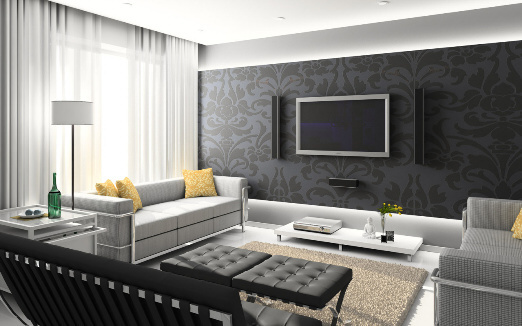 We also offer a smooth wallpaper, which we recommend for art that requires rich blacks. Use our repositionable wall fabric custom wallpaper where you don't want to make a permanent installation or hire an installer. It sticks great to drywall, metal, and glass. It is a polyester fabric with "sticky note" adhesive on the back. It's good for at least a few years, comes off easily, and can be moved and re-applied many times. It's also great for window displays and is transparent enough to be backlit. The material is not waterproof. Use wallboard vinyl for temporary wallpaper and signage. When you need a removable material that can be wiped for cleaning, our wallboard vinyl will do the trick. This is an adhesive backed vinyl with the same "sticky note" adhesive as our repositionable fabric. Wallboard vinyl is less expensive than the repositionable fabric. We need a good quality high resolution digital photo or art. If you are searching for the right photo, there are several stock photo sites online, we like Dreamstime. When buying a digital photo, buy the highest resolution available. The good news is that most digital photos will work for custom wall murals, and we've gotten some great looking wallpaper from fairly ordinary 6 or 8 megapixel photos. We can also drop type and logos into your photo. Send us your photo, and the size of your wall, and we'll let you know if there are any problems making the photo that large for your custom wallpaper. 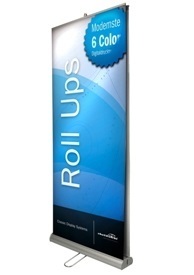 We can give you guidance about how large the picture you are about to buy can be printed. If you have already purchased Wallpapers or Vinyl Stickers : We can fix for you. 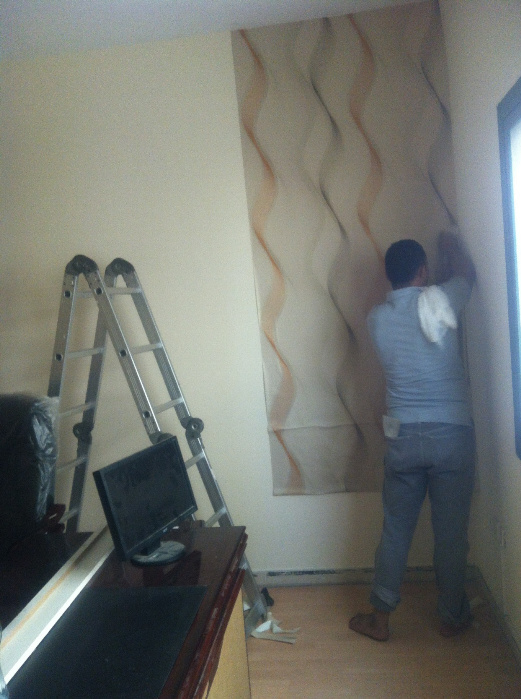 We also provide Wallpaper Fixing Services in Dubai. We provide professional fixing for residence, villas, commercials, offices and others.